Do you feel Ubuntu 17.10 is slow and heavy? 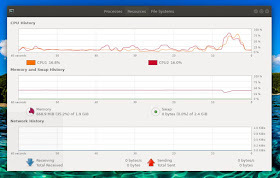 Do you find it's difficult to run Firefox and others without lagging? That's because Ubuntu has so many processes running at once that are unnecessary for most users. Among them are redundant gnome-shell, gsd-somethings, evolution-somethings, and many more. 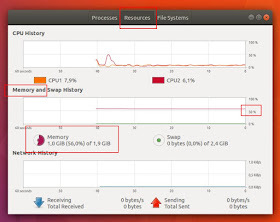 Ubuntu 17.10 uses at least 1GiB of RAM at idle and that is too heavy for a desktop system. 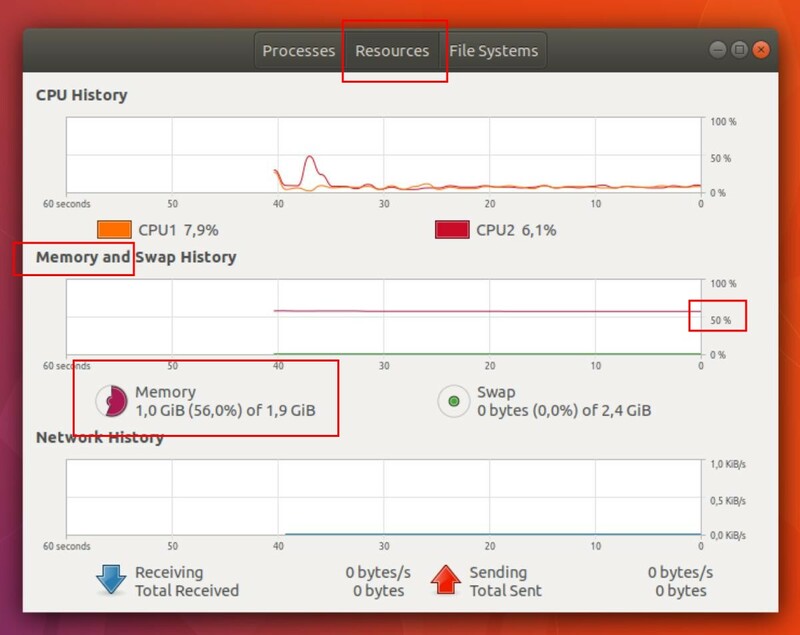 This article explains some experiments in reducing RAM usage down to ±600MiB by disabling those unnecessary processes from Ubuntu. The final result is for you wanting to run Ubuntu 17.10 faster and more stable (without lagging). Please do these experiments at your own risk. Enjoy! WARNING: although all experiments here are harmless, I recommend you to do these experiments on a Ubuntu Desktop 17.10 that is dedicated for experimenting, not for production. This article is an experimental tutorial. If you want something else for 17.10, read How To Install, What To Do After Install, Newbie's Guide, and Recommended Applications. I show you my result after reducing unimportant processes. 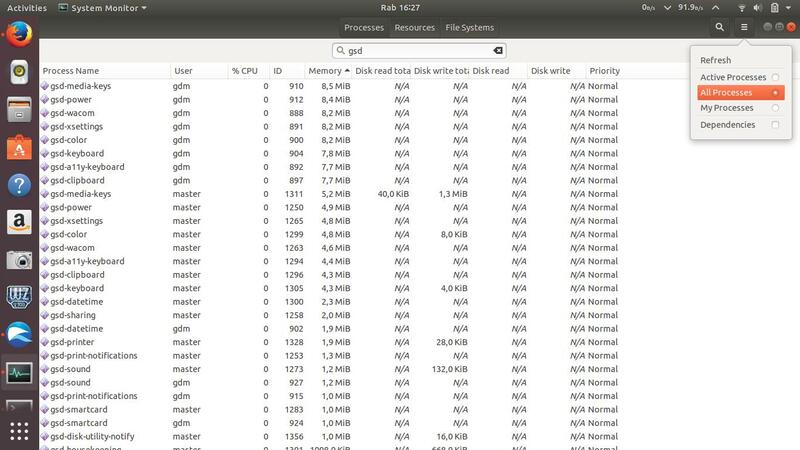 Before, System Monitor says my Ubuntu 17.10 eats 1.0GiB of RAM. After, it says it eats only ±600MiB of RAM. Can you see the far difference? You can do it by yourself. Run your System Monitor program > set the view to "All Processes" > sort Memory column from-big-to-small. You will see so many processes running at once. 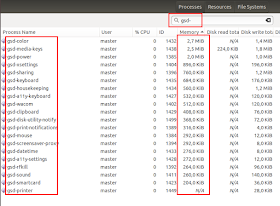 Many of them are 'the culprits' of heavy memory-load in Ubuntu. And many of them actually not necessary for a healty, normal Ubuntu system. They're all automatically respawned if you just close them using kill command. Therefore this article exists to kill them permanently (except gnome-shell). Plus, excluding gnome-shell, there are targets you can kill that I still don't know how to permanently kill them such as gnome-calendar, update-notifier, and deja-dup-monitor. 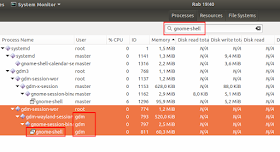 Kill one of two gnome-shell process. See memory usage. Refresh gnome-shell process if you find it exceeds 100MiB. See memory usage. Kill 30+ processes named gsd-something. See memory usage. Delete* 30+ actual files of gsd-something processes. Restart. See if they're back or not. See memory usage. Kill 6 processes named evolution-something. See memory usage. Delete* 6 actual files of evolution-something processes. Restart. See if they're back or not. Finally, see memory usage. We should have much more free RAM here. You can restore these experiments back if you dislike the result. *) Of course, we will not simply "delete" the files but just "move" them to new folder. You will see at first login that Artful uses ±1GiB-1.3GiB of RAM. 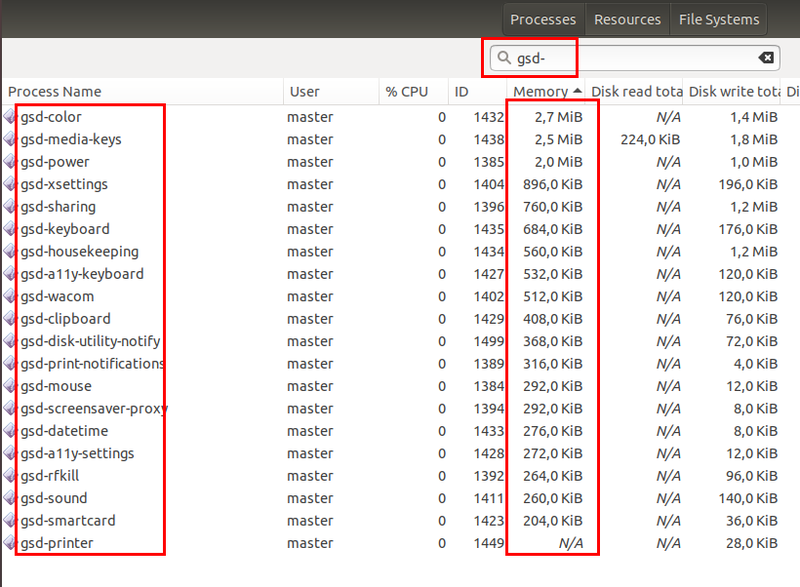 If you have only 2GB RAM, this causes Artful to be very slow and heavy, you will find difficult even to run Firefox. 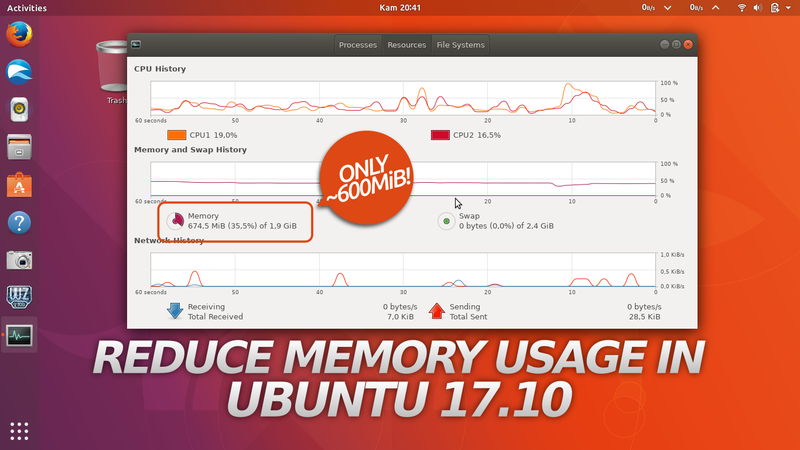 Compare it: remember that Kubuntu uses only 400MB of RAM. Login and open System Monitor > click triple-lines button > check on Dependencies > find 'gnome-shell' > you should find 2 gnome-shell with 2 different users. One with your own username, and another one with gdm username. 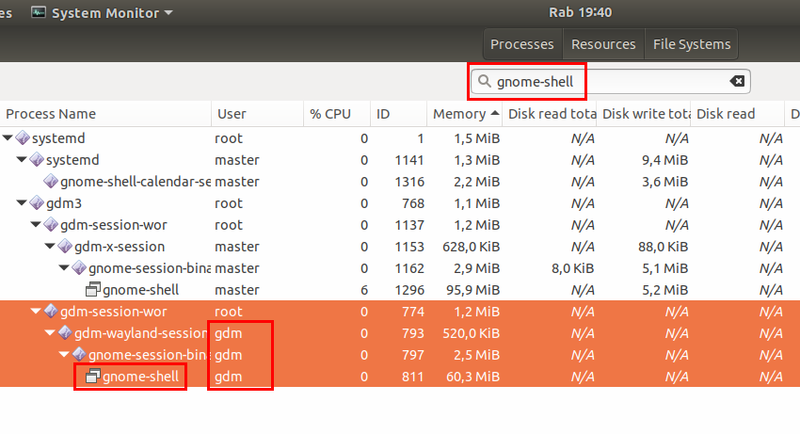 Kill the gnome-shell with gdm username. Now you should see only one gnome-shell exists with your username. WARNING: this killing is not permanent. You must do it again each time you logged in. 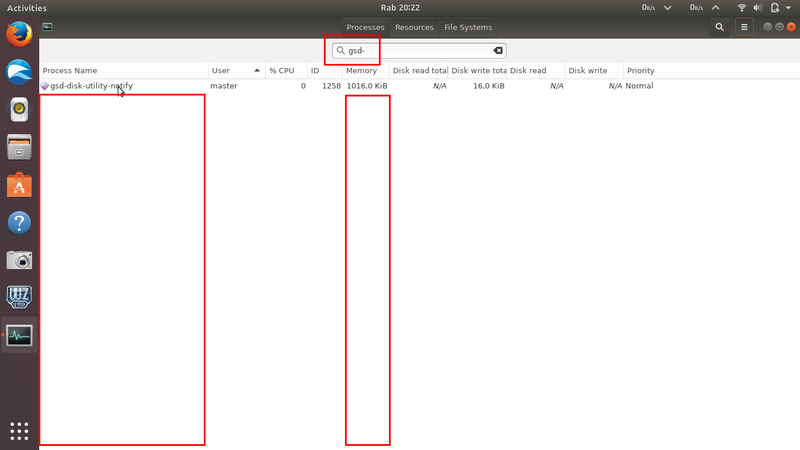 To to this permanently: delete all gsd-somethings files inside /usr/lib/gnome-settings-daemon/ then restart Ubuntu. This makes gsd-somethings never respawn. Again, I suggest you to not delete but instead move them to another folder. Third, make sure all files are gone. This command must show only one backup/ folder. Fourth, restart Ubuntu. System Monitor must show no gsd-something running. 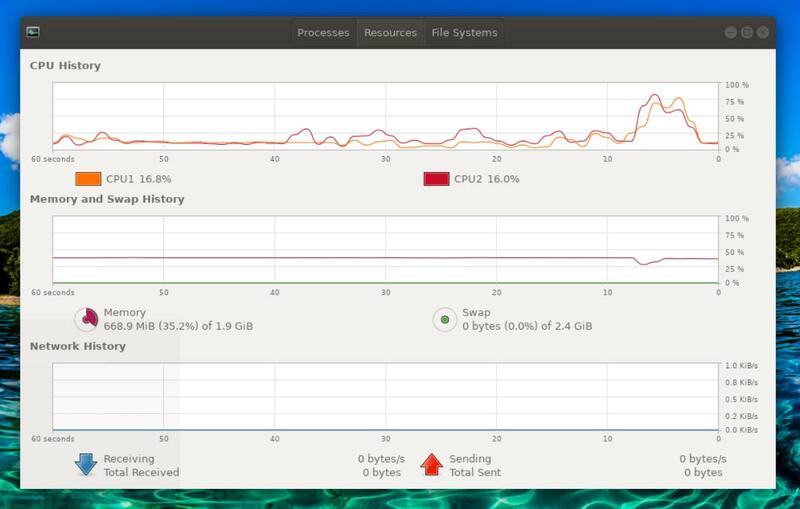 Fifth, now see RAM consumption at System Monitor. To do this permanently: delete all evolution-somethings files inside /usr/lib/evolution/ then restart Ubuntu. Do not delete but simply move them instead. Reduced down more to 750MiB! PackageKit is a particular "automatic updater" in Ubuntu. It has packagekitd daemon running randomly over time so it's difficult to track when it's started and closed. The bad news are: packagekitd can waste your network bandwidth and RAM. You don't need packagekitd to run Ubuntu normally. So disable it. Fouth, restart Ubuntu and make sure no packagekitd running. Similar to packagekitd, Snappy is a particular "software installer" in Ubuntu. Snappy has snapd daemon running over time so it's also difficult to track when it started and closed. The same sad news are: snapd can waste your bandwidth and RAM. Again, just like packagekitd, you don't need snapd to run Ubuntu normally. Then kill it. Fourth, restart Ubuntu and make sure no snapd running. I haven't found the way to permanently kill them (except manually deleting) so for now I can only kill them after logging in. They are gnome-software, gnome-calendar, deja-dup-monitor, and update-notifier. You still can run Ubuntu normally without them. After killing them, see RAM usage. The screen shows message: "Restarting..."
After a fresh restart, and do again (1), (6), and (7) you should see the RAM usage now reduced to ±600-700MiB. Now you can try to run Firefox, Thunderbird, Nautilus, even games at once and see if Ubuntu 17.10 is not slow/heavy anymore. Finally: only use 670MiB of RAM! Yes, this article is very limited and you can say it's ugly. I'm not a hacker and I didn't read GNOME source code to write these experiments. I did my own experiments after having hard times in running Firefox on 17.10 (it's too slow and even crashing!) in a 2GB RAM laptop. The limitations are you still have to do experiment (1), (6), and (7) manually each time plus I still don't know if there are more stuffs that could be reduced. Please let me know if you know more and have corrections for me.